Please send me more info and current offers for your Magdalena Bay Whale Watching. Magdalena Bay, a chain of lagoons protected by barrier islands, provides a favored sanctuary and winter nursery for the gray whales that travel over 5,000 miles from the Bering Strait to Baja. From January through March, pods of gray whales mate, raise their young and play in Baja's warm, sheltered waters. Baja Unbound offers an exclusive adventure as only we have permission to camp on the island so near to the calving grounds. Watch these impressive, friendly whales as they breach, spy-hop, and fluke--and occasionally, you may reach down and actually touch these sociable giants. Spotting whales is a guarantee on these tours, so you don't have to keep your eyes peeled; instead, find yourself immersed in their world. When you're not on the water doing some whale watching, explore Magdalena Bay's incredible ecosystem, where colorful desert flora and mangrove-hedged estauries dot the arid stretches of sand dunes. Enjoy dune hiking, birding throughout mangrove channels and beachcombing. Our 5 and 6-day Magdalena Bay Whale Watching tours include 3 days at our exclusive safari-style basecamp set on a secluded beach. With the highest concentration of Baja gray whales right offshore, there's no better place to witness the gray whales as they play. NOTE: First and last days for all Baja tours are set aside as arrival and departure days. This itinerary can be run from either Loreto or LaPaz. Please inquire with an Adventure Consultant for additional details. *An additional $50 per person transportation fee will be added for all tours out of La Paz. Add an extention and fly in a day early for a snorkel and skiff tour in the Sea of Cortez! Keep in mind that Baja's gray whale lagoons are protected by the government, and so you may only whale watch with a licensed tour operator like Baja Unbound. 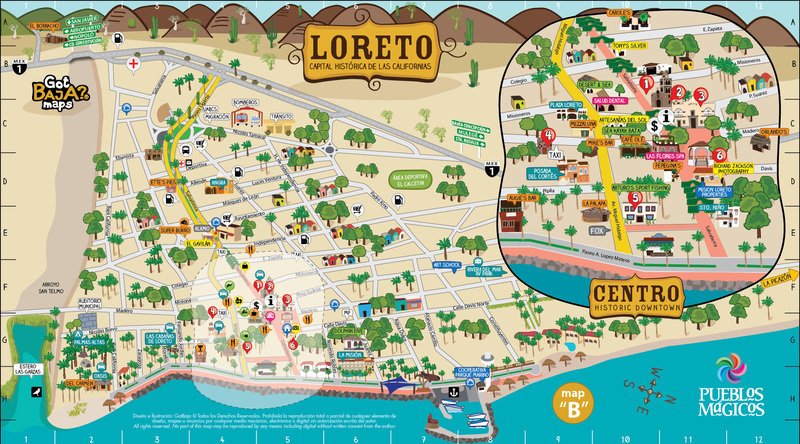 Land at the Loreto airport and take a short ride to our hotel for the evening. After checking in, set out to explore the historic town of Loreto, relax by the pool and soak up the Baja sun or stroll down the malecon. After, meet with your guides and fellow guests for a orientation meeting. After breakfast, depart for a 2-hour drive to Magdalena Bay's Puerto Lopez Mateos. Your whale watching adventure beings upon arrival--and you might even be able to spot passing whales from the dock. We explore the bay and enjoy our first meet and greet with the whales before we are ferried to our exclusive Magdalena Bay basecamp situated on a secluded barrier island. Once we've settled into our camp, enjoy a delicious lunch prepared for you. Then spend your afternoon hiking across wind-swept dunes, taking in the arid landscape and desert flora. Reach camp by sunset just in time for happy hour and a fresh, healthy dinner under Baja's balmy skies. Wake to the fresh scent of coffee and tea, and possibly fit in an early morning whale-watching session from the beach while the guides prepare your hot breakfast. Today is filled with beachcombing, swimming, hikes through the island's dunes and, of course, plenty of whale watching. We take out our motorized skiff in the morning and afternoon for two sessions of whale watching and close encounters with the friendly gray whales. We also have the opportunity to explore the mangrove-lined estuaries filled with flitting birds. With our naturalist guides' studies in marine biology, your time whale watching and birding is both informative and entertaining. After breakfast, we set out for one last morning whale watching session before returning by panga to Puerto Lopez Mateos. Take in the bustling port and enjoy a fresh seafood lunch at a favorite local restaurant before our return trip to Loreto. Settle into your hotel room, relax, or finish exploring Loreto before a farewell dinner with your group. We have no planned activities for today--depart whenever you wish! Please note: The 6-day Magdalena Bay itinerary follows the same schedule as the 5-day itinerary, but with one additional day of whale watching and camping. The first and last day remain arrival and departure days. Please Note: This tour involves transportation to and from Loreto or LaPaz to the whale camp at Magdalena Bay. An additional transportation fee of $50 will be added to any Whale Camp trip running in LaPaz. Guests requesting a trip arriving in LaPaz and departing in Loreto (or vice versa), if the option is available, may also be subject to additional fees for transportation. Please discuss this with our office staff if it is something you are interested in. ALL PRICES IN US DOLLARS. We will do our best to adhere to the itineraries and trip descriptions listed on our website. However, tour itineraries or sub contractors (such as taxi, cruise boats or hotels) may change slightly due to reasons beyond our control including but not limiited to Acts of God, wind, waves, inclement weather or other. We always welcome yout o call us to clarify any item - often this is the best way to fully clarify expectations. You will be sent a pre-trip e-mail wiht the latest details within a month of your tour - it is your responsibility to check in with us prior to your trip to see if you have all the information you need. We will always do our best to provide you with the best possible tour and to fully meet your expectations to the best of our ability. Packages Include: Hotel accommodations before and after the tour, all camping equipment, all meals and beverages once the tour begins, bi-lingual certified guides and the full service of our Adventure Consultants. Dates provided reflect your arrival date; all packages include an arrival and departure day. Packages do not Include: Airfare, transportation to and from airport, all National Parks & Biosphere Reserve access fees, gratuities, and items of a personal nature.